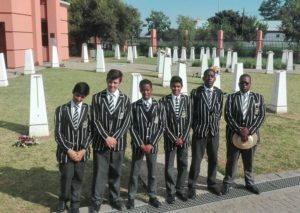 Jeppe High School for Boys offers two streams of debating: Worlds School’s style debating as well as Model UN debating. In World School’s style debating is open to both senior and junior teams. Each team consists of five members who are either for or against a motion. The nature of these debates are impromptu, with motions being handed out on the day of the debate, and attracts students who with a strong general knowledge and the ability to think on your feet. 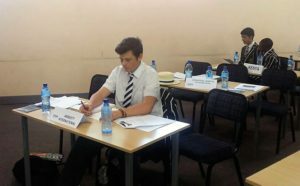 Jeppe Participates in both The Hemlock Cup and well as the South African Council for English Education (SACEE) national debate tournament. Model United Nations focuses on issues that affect the world. Teams are made up of three members and follow the format of The United Nations council debates. Each team acts the part of a country and enters debates concerning world security, environmental issues and human rights concerns. This stream of debating encourages boys to be aware of current events and world news. 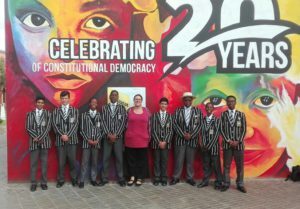 Jeppe has participated in Model UN since 2016 and have several notable achievements in mini-Model UN debates including Best Speaker and Best Delegation Awards. 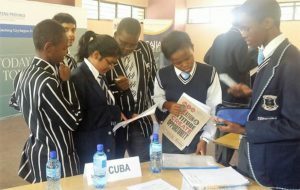 We also take part in The South African Institution of International Affairs Nationwide Model United Nations Debate Tournament.